When Rockchip RK3188 powered mini PC started to show up in March 2013, many were priced around $90, which some shops aggressively (and temporarily) pricing UG007B at $74. But it’s now possible to purchase QC802, a quad core mini PC with 2GB RAM and 8GB Flash, for just $61.75 excluding shipping from a seller with good feedback. Adding shipping will bring it to about $70 depending where you live, but applying “registernewbuyer5” coupon brings it back to $65 or even a bit less. QC802 is by far the cheap RK3188 device I’ve found. USB – 1x USB Host 2.0, 2x micro USB ports including one for power, one USB Host. A QC802 review made near the end of may was mostly positive about the device, although firmware improvements were needed. However, an updated firmware has not been released since this review. Ugoos.net does have a download section, but it’s password protected, so the most likely sources of firmware upgrades should be GeekBuying or Kimdecent, both of which also sell the device. I was not so sure, but it’s $12 cheaper than the cheapest current price I knew before, so I decided to write about it. At $65, it starts to be quite competitive compared to RK3066 mini PCs, even if it’s just for the 2GB RAM extra. The 2 extra cores do not actually help that much in practice. Next article at $50, but I think it will take a little while. The only problems with QC802 is firmware. The stock firmware is not available, so if something goes wrong you’re stuck with a brick, and there’s no community around it. I’m a bit confused as to why T428, one of the most expensive, but with about the same features, seems to be the most popular. The other item you linked to is not so cheap for me, as there’s no China Post option, at least to Thailand. If you need GNU/Linux and general hackability, the GK802 is still a better choice. I think 2GB RK3188 devices should start to hit $50 by end-October, based on the way tablet/arm device prices have been developing over the last year or so. Don’t the extra two cores help when lots of processes are running simultaneously? Esp with 2GB ram to minimise disk/rom access? Could you explain why GK802 is better for Linux etc? Is there anything similar for RK3188? Well well you guys seem to forget that the T428 has a better wifi chip with dual band support (wifi ac support as well) + Bluetooth 4.0. That’s what makes it more expensive. I understand T428 has some more expensive hardware, but most extra features are not really useful to most people. 1. T428 has a dual band Wi-FI chip, but I found performance to be weak on my setup compared to most other devices. Also: How many people are using 5GHz band? Has 802.11ac support been confirmed? I’m only using Bluetooth with a game controller, so I haven’t tested other BT features. Does it support High Speed transfer, and is it compatible with Low Energy (SMART)? If not, it’s just like the Bluetooth 2.1. Perhaps the more valid comparison now is RK3168 vs RK3188? When I use those sticks I often tick “Show CPU Usage” in the developers options, and most of the time it’s using less than 2 cores, except at boot time, when it installs some apps in the background, or during benchmarks. It’s not really a hardware issue, it’s just the current software does not handle multiple cores for most tasks, either because it’s not really needed, or because it has not been implemented yet. Yes, RK3188 can be clocked to 1.8Ghz in theory, I must have read/heard somewhere they’ll do it for next revision of the chip. I don’t really know about the GPU clock speed. 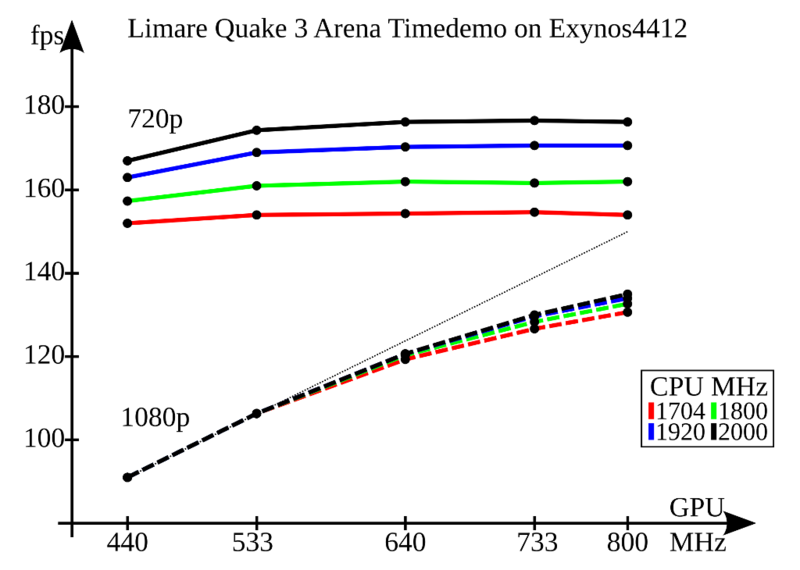 libv (Lima developer) could overclock Mali-400 MP4 in Exynos 4412 from 440MHz to 800Mhz. So it might be possible to overclock the GPU in RK3188 (since it’s the same), but it will lead to higher power consumption, and possibly overheating. Ta – it’s just that the article I linked to mentioned that the 3188/s Mali was specced to be overclocked (relative to 3066) but didn’t seem to be in the tablet being reviewed (back in March). So plenty of places to get a 2GB/8GB RK3188 stick (MK809 III/UG007B/QC802) for ~$65-67 (after $5 coupon). CX-919 & HI702 (only 1GB DDR, but external wifi aerial) is also available at this price. Interesting, and for some reasons, most of them charge exactly US $69.49. Oops – looks like seller’s messed up; title/description are inconsistent. The problem with Chinese sellers is that you always have to read the full description, and check the picture in details, to make sure what they are selling is actually what they’ve described. Is this one of the ones with a Linux-friendly wifi chip?